North-South Railway, Saudi Arabia. SYSTRA photo. The Middle East is on the cusp of large-scale rail expansion, and unlike previous attempts, many socio-economic and political factors are combining to create a sustainable ecosystem for investment. Currently, 6,294 route-kilometers is under construction across the region, accounting for more than $105 billion of investment, with an estimated 8,338 route-km set to be constructed by 2035, according to data from IRJ Pro Project Monitor. The most prominent countries in the Middle East are the Arab Gulf States, which with the exception of Iraq, make up the Gulf Cooperation Council (GCC). The institution was formally established in 1981 but is not economically integrated. There are also significant political and socio-economic differences among the GCC states. Indeed, these have led to differing attitudes toward public spending on large-scale infrastructure projects. For example, the region’s “petrostates” have tended to ride the wave of high oil prices to quickly develop flagship projects, while others have struggled to find multilateral and development finance. The GCC economies rely on oil and gas as their main exports and source of fiscal revenue. So, when global oil prices tumbled in 2014, with crude as low as $26 per barrel, around $360 billion was wiped off government balance sheets. However, the 2014 shock has been absorbed for the most part, and despite current volatility in the oil market, projects are once again picking up speed, and in many cases are a higher priority than before. Rail projects in the region were once placed in the discretionary category. However, due to increased social pressures, this is no longer the case. Many countries are experiencing large demographic shifts such as population growth. With youthful demographics, these states need better infrastructure to support employment and further economic development. Each of the GCC countries has differing break-even requirements when it comes to oil price, impacting each country’s ability to fund projects. The Gulf States have taken on significant foreign currency reserves and loaded up on sovereign debt as hedges. Indeed, some countries such as Bahrain have no option but to raise debt levels or cut funding. Bahrain needs oil to trade at around $113/bbl. to break even, and debt could rise above 100% of GDP by the end of 2019 if oil prices do not rise. Despite these implications, many countries have increased spending on rail projects. Saudi Arabia has consistently expanded its budget, and this year the country is expected to spend just under $300 billion. Dubai increased infrastructure spending by 46.3% in 2018 but has cut spending in 2019. The introduction of new taxes, such as VAT in both Saudi Arabia and the United Arab Emirates in January 2018, is helping to boost revenues, while GCC governments are starting to explore alternative funding and procurement options for projects. Public-private partnerships (P3s) have re-emerged as a popular funding model on the back of the oil price crash in 2014. Governments have been attracted by the mitigation of financial risk associated with large projects. The UAE and Kuwait introduced new P3 laws in 2015, and Saudi Arabia, Qatar and Oman are currently establishing new frameworks. 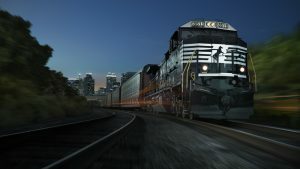 The region’s most ambitious project, the Gulf Railway, is a proposed line that will connect all GCC member states, totaling 2,177 km, and is estimated to cost up to $250 billion. Each of the states will be responsible for implementing their own portion, with the largest sections in the UAE (United Arab Emirates) and Saudi Arabia. The scheme was first proposed in 2009 with an original deadline of 2018. However, the project has met many financial obstacles, particularly during periods of low oil prices, as well as differing political interests among the states involved, with the deadline for completion now set at 2023. Considerable progress has been made over the past year on the project, including the 1,200-km section in the UAE. The UAE Ministry of Finance and the Abu Dhabi Department of Finance signed a deal to finance the second stage of the UAE’s national rail project in November 2018. Stage 2 of the Etihad Rail network will span 605 km and integrate the national system with the GCC network, transporting up to 50 million metric tons of freight a year. The line will run from Ghuweifat on the Saudi border to Fujairah on the eastern coast, connecting with Abu Dhabi and Dubai, and to the Omani border. Preliminary design works were completed earlier last year, and tenders for the civil works are expected to float soon. The final expansion will come under Stage 3 and serve the northern Emirates, adding a further 250 km to the network. Egis has been appointed to provide project management and consultancy services for Stages 2 and 3, with Jacobs Engineering providing the engineering and design services. Stage 1, a 254-km line from the gas fields in the Al Dhafra region to the Gulf port of Ruwais, was completed in 2015. The King Hamas Causeway is Bahrain’s most significant Gulf railway project and will connect Bahrain with Saudi Arabia. 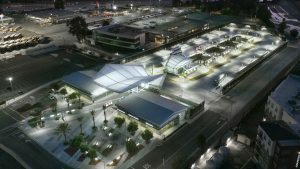 Construction is expected to start in 2021 and take three years to complete. The causeway is estimated to cost $4 billion and will include two tracks connecting with the GCC’s rail network, along with road traffic lanes. The project will extend 75 km into both countries and includes a 25-km causeway over the Persian Gulf. Consultancy bids for the project have been issued, and the winner is expected to be announced in the first quarter of this year. Kuwait National Rail Road (KNRR), the country’s chief project, will consist of a national railway linking Kuwait City with seaports and other GCC states. The railway will serve both freight and passengers and offer a top speed of 120 kph (75 mph). The 575-km network will be delivered in two phases. Construction of Phase 1, a 111-km stretch from Kuwait City to Nuwaiseb on the Saudi border, began in August, and a 153-km line connecting Kuwait City with Boubyan port is expected to be completed in three to four years. The project will be delivered through a P3, with a private consortium holding 44% of the project company and 50% of funding raised through an IPO. The government will hold the remaining 6%. Saudi Arabia has been the most aggressive GCC state in rail development and plans to begin construction on 1,100 km of lines in the next year, according to data from IRJ Pro. 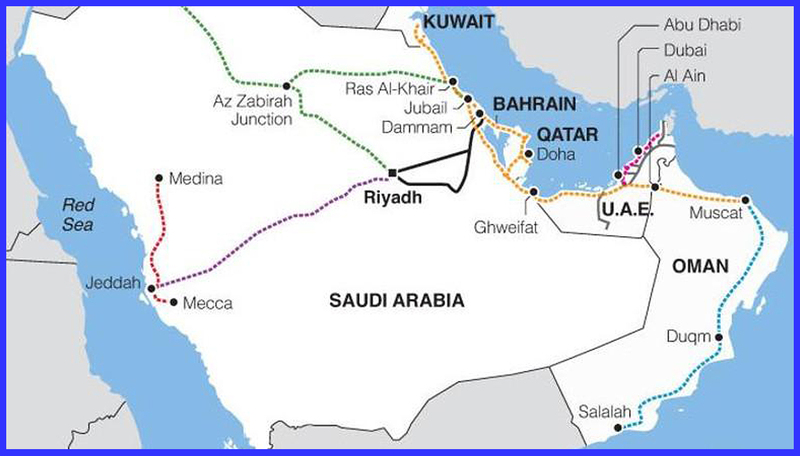 This includes its section of the GCC network as well as the 950-km Landbridge, which will run from Riyadh to Jeddah. The line is forecast to carry up to 8 million metric tons of freight per year and was originally scheduled for completion in 2020. 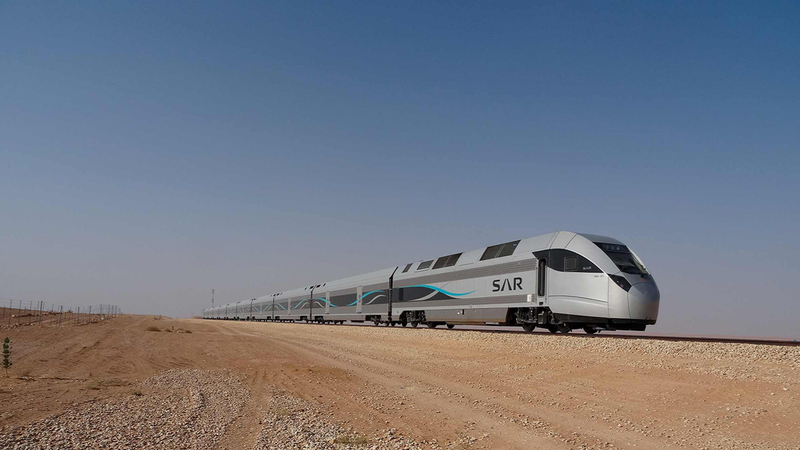 However, with other major projects such as the Haramain high-speed line taking priority, this deadline was pushed back, and Saudi Railway Company (SAR) has announced that it expects to launch tenders for the project soon. The latest estimated completion date is 2023. Oman is similarly revisiting its plans to develop a comprehensive freight rail network, which was suspended ahead of the announcement of construction tenders for the first phase in 2016. The network will span 2,144 km and connect the country’s three deep-sea ports with industrial areas along with the GCC network. Momentum is building once again for rail in the Middle East. 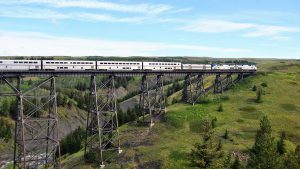 Higher oil prices, demographic changes, economic re-prioritization, a restructuring of the legal and regulatory framework and the growth of P3 financing are all combining to support a widespread rail infrastructure expansion agenda. With several key projects set to take major steps forward in the next 12 months, the region is returning to its status as one of the world’s hottest rail markets. United Arab Emirates: In Abu Dhabi, there are currently seven metro (rapid transit) and light rail projects under construction. 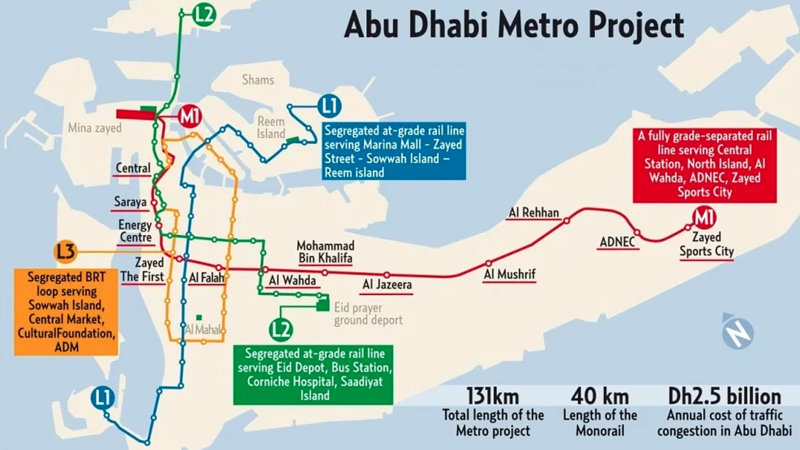 Abu Dhabi is planning to develop a 131-km metro network, which includes underground sections totaling 18 km. Two light rail lines are also planned along with a BRT system. Phase 1 is slated for completion in 2020 and will span 60 km. Subsequent phases will add a further 70 km. 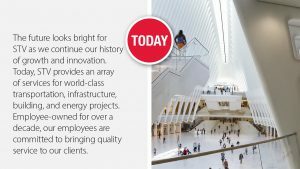 The project is expected to cost around $2 billion. Dubai is currently extending its metro Red Line by 18.5 km along with two projects ahead of Expo 2020 in Jebel Al. A 20.6-km Green Line extension is also planned for completion by 2020, along with the next phase of the Al Sufouh Tramway. Saudi Arabia: The first section of Riyadh’s metro system is expected to open this year. The network will comprise six driverless lines totaling 176 km with 85 stations. Riyadh has seen exponential population growth over the past three decades and is expected to grow to 8 million people in the next 10 years. The system will be a fundamental pillar of the city’s transport network. Jeddah is planning four metro and five light rail lines. Construction is expected to begin on the first phase of a 149.5-km metro network this year. 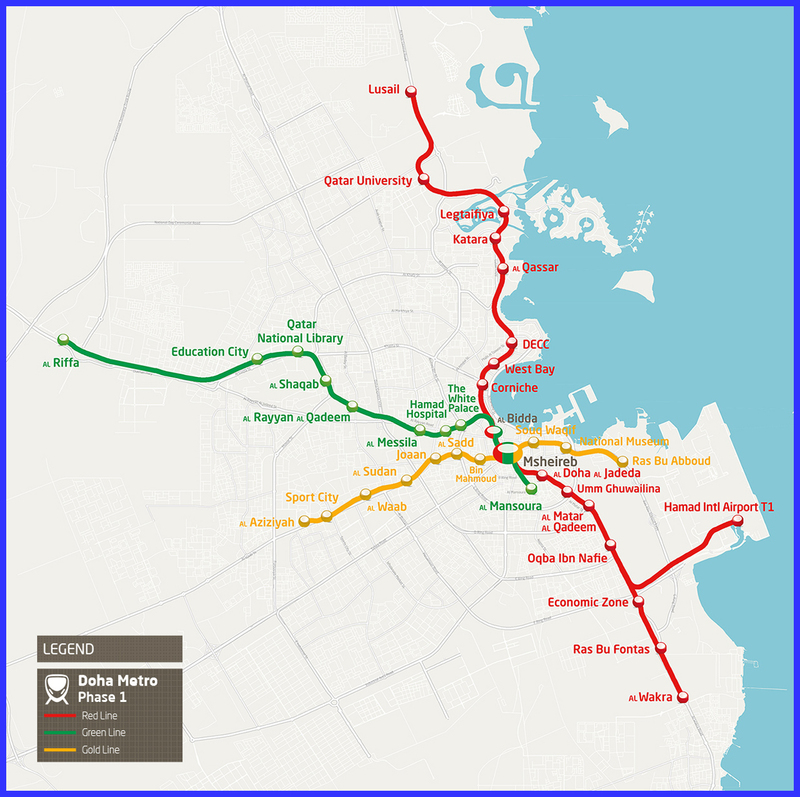 Qatar: The capital Doha began construction of the first phase of its metro network in 2012. The initial sections of the Red, Green and Gold lines are due to be completed by 2020. The network will ultimately consist of four lines with an overall length of 300 km and 100 stations. Doha Metro will be an integral part of the country’s national transport network, with trains operating at 100 kph (62 mph), making it one of the fastest driverless systems in the world. 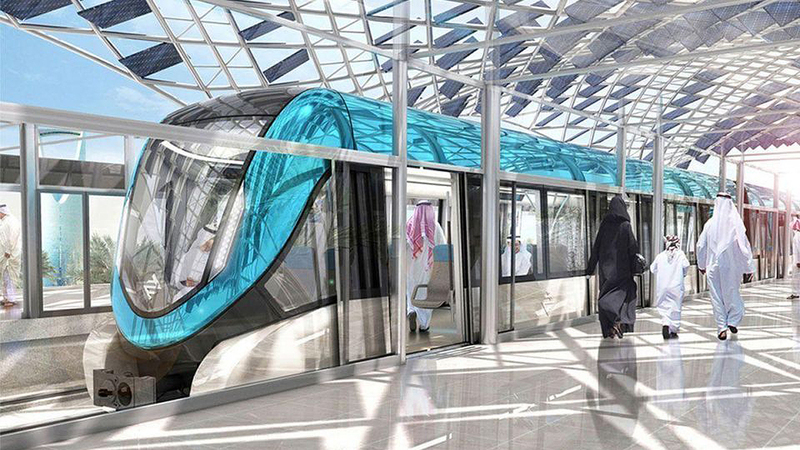 Lusail’s four-line, 38.5-km light rail network is another key Qatari transit project set to take major steps forward this year ahead of the soccer World Cup in 2022. The network will include a 10-km underground section and is forecast to carry 50,000 passengers per day by 2021. 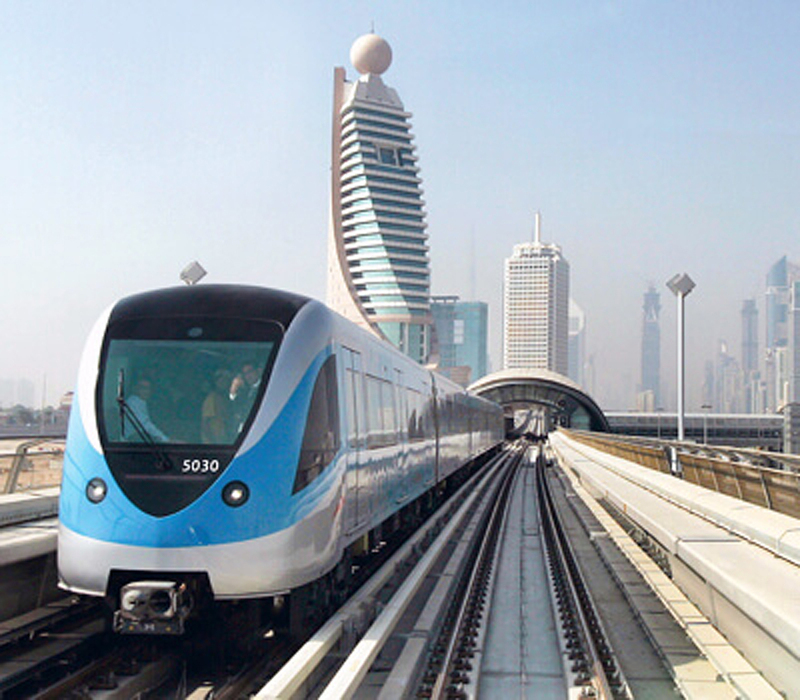 Kuwait: Kuwait City is planning to build a metro network at an estimated cost of $7 billion. Five lines are currently planned that will span 91.4 km. The government will own 10% of the project and raise 50% of the funding through an IPO. The remaining 40% will be held by private developers. 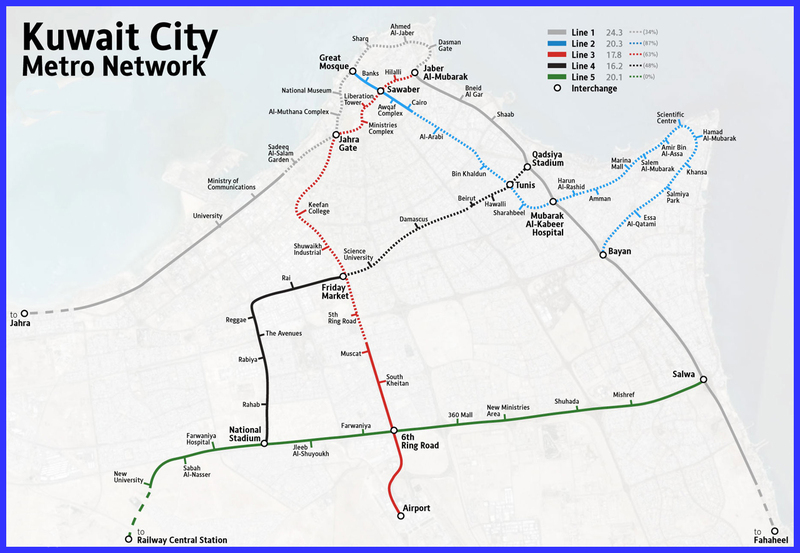 Bahrain is planning to develop its first metro project, at an estimated cost of up to $2 billion. The project will have a total length of 109 km and link the region with the King Hamas Causeway. It will be built in four stages and use driverless trains capable of carrying up to 43,000 passengers per hour across 20 stations. The project will be developed under a P3 model, and tenders are expected in the final quarter of this year. Oman is exploring options for light rail in Muscat as well as a national passenger network. However, these plans remain in the early stages. Gain access to more than 2,200 projects as they develop in more than 100 countries with IRJ Pro. For further information, visit www.irjpro.com.